Ep. 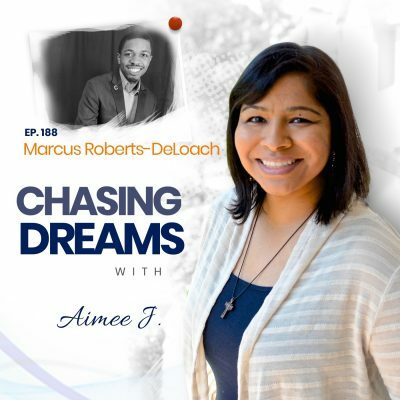 70: Delali Dzirasa – Using his Passion to Make a Difference in Technology and the Community | Aimee J.
Delali is Founder and President of Fearless Solutions, a software firm based out of Baltimore. Delali is a Certified Scrum Master and PMP® with a decade of experience leading agile software teams and programs. Delali graduated with a B.S. in Computer Engineering from UMBC in 2004. Delali always had a passion for entrepreneurship and after working at a handful of technology firms, he founded Fearless in 2009. Delali strives to make a difference in technology and his surrounding community. He currently resides with his family in Baltimore City, where he is passionate about increasing the rate of city youth heading into STEM fields. Delali Dzirasa aspired to be a business owner since his days in college. How did he get from a college student to a successful entrepreneur? What carried him across the finish line? Delali says determination and drive helped him achieve his goal. He tells the story of running his first marathon with a friend from college. The one thing that kept him going mile after mile was the simple focus on small incremental goals. One mile at a time. They built on top of each other. Before he knew it, he had finished all 26 miles. Similarly, Delali says entrepreneurship is like running a marathon. You have to set small attainable goals one after another. With each goal accomplished, you accumulate success. Hear more about Delali's story on this inspiring episode of Chasing Dreams! Delali Dzirasa is a successful leader in the software development field. As he his influence in the industry has grown, Delali wants to give back. One of the ways Delali and his company, Fearless Solutions accomplishes this is by resourcing STEM programs. STEM stands for Science, Technology, Engineering, and Math. STEM jobs are the jobs of the future. However, these jobs are increasingly difficult for minorities and women to obtain. If the United States is going to be competitive on the global stage, it needs to invest in resourcing and developing these job avenues. 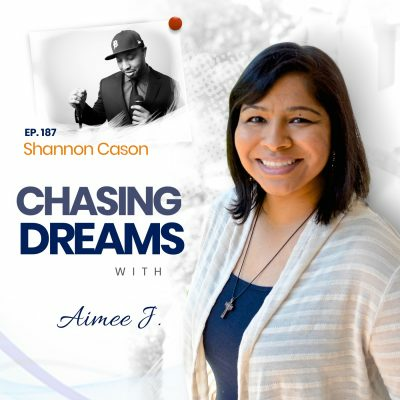 Learn more from Delali about STEM and the work he’s doing on this episode of Chasing Dreams! If you go to Fearless Solutions’ website, you will notice one thing right away. A purple cow. The purple cow is not just a gimmick. Fearless Solutions’ founder and leader, Delali Dzirasa was inspired by the book “Purple Cow” by Seth Godin. He realized that in order to be noticed, you have to do something outside of the box. In a world of run-of-the-mill “Brown cow” software companies, Delali wanted Fearless to stand out. He wanted the company to be known for their values like committing to excellence, integrity, improvement, innovation, and passion in every aspect of their business. Delali discuss the purple cow and more on this episode of Chasing Dreams! One of the most overlooked aspects of a successful business is its culture. Almost everyone has worked in a negative or unhealthy work culture. But, how do you build a healthy one? Delali Dzirasa and his team at Fearless Solutions have created an exciting and vibrant work culture. They have dedicated themselves to trust and empowerment. They don’t micromanage people, they trust men and women to get their jobs done like adults. Instead of holding everyone to arbitrary rules, they empower people to work in a way that makes them the most comfortable and productive. By letting people work outside of the box, they have found that their employees are more likely to THINK outside of the box. 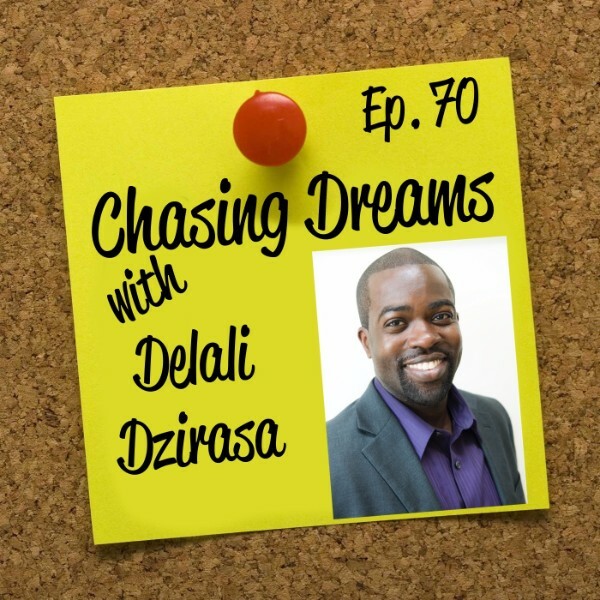 Hear more about building a healthy work culture from Delali on this episode of Chasing Dreams! [0:53] Aimee’s introduction to this episode with Delali Dzirasa. [3:30] What’s the biggest lesson Delali has learned over the years? [5:53] Challenges Delali faced getting started in his career. [9:34] The road to becoming an entrepreneur. [13:04] Giving back to the community. [13:55] What is STEM? Why is it important? [16:04] Is Delali's company expanding? Where? [18:27] What is up with the Purple Cow mascot? [21:11] Networking, it's all about who you know. [24:21] Building a healthy culture. [31:00] Delali's advice to those who want to chase their dreams. Be fearless. Dream aggressively. You have one life to live so give it everything you’ve got!